I wake up from a night of snuggling with my chihuahuas, Chloe and Leelo, and my doggone 😉 handsome boyfriend, Pat. Then, I go to work…as the owner of a dog walking company. Once the work day is over, I spend some time with my pups and our foster dogs while working on this dog blog. For fun, I love finding dog-friendly places and activities – bonus points if booze is involved. (Share your favorite places with me!) I just really, really freaking love dogs. 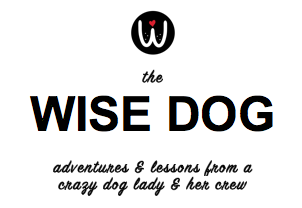 The purpose of these posts is to share stories and lessons from my dog-obsessed life. I’m not an expert, but I have lots of experience to share. Thanks for joining me on this crazy ride!